Believe it or not, he played for Liverpool. More often than not, Liverpool sign players that are worthy of wearing the red shirt and playing at Anfield. Players that would more often than not, be remembered from their time at the club. Liverpool fans have countless memories involving many players. Whether they are from the Academy or joined for a considerable amount of money, you would be likely to remember them. The likes of Steven Gerrard, Michael Owen, Fernando Torres or Philippe Coutinho would be remembered by the Anfield faithful on a regular basis. While not everybody could make such an impact at Liverpool, some players are widely remembered by Reds fans for stinking the place up. Poor signings like Alberto Aquilani, Paul Konchesky and Mario Balotelli are all prominent points in various discussions about the worst players Liverpool ever spent money on. Guys like El-Hadji Diouf are also remembered for the negative impact they had on the club in terms of performance and legacy. However, there are some players who come in the middle. They were not the best players on the team, nor are they infamous for being terrible. They, at least during their spells at Anfield, were forgettable. These players are hardly ever brought up when discussing either the best or the worst players ever, as people seem to forget that they played for Liverpool. They might be remembered for other things in their footballing career, but their contributions to the Reds have gone missing at first glance at their careers. 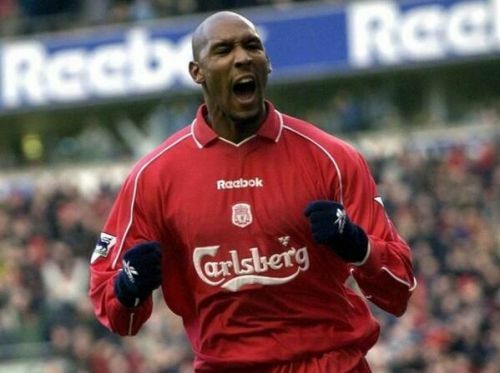 Here are five forgotten former Liverpool players that you might not remember playing for the Reds. Meireles had a decent but solitary season at Anfield. In the summer of 2010, Liverpool made some questionable transfers. Players like Milan Jovanovic, Christian Poulsen and Paul Konchesky joined the club as Roy Hodgson began his reign as Liverpool manager. While most of the signings that summer were atrocious, one player did actually play well. Raul Meireles signed from Porto close to deadline day, looking to improve the midfield which had lacked a lot of bite from the loss of both Xabi Alonso and Javier Mascherano. The Portuguese midfielder was not used effectively at all under Hodgson and did not make an impact. It was after the former England manager was sacked when Meireles started to perform for the Reds. Kenny Dalglish took temporary charge at Anfield, a deal which was later made permanent, and transformed the midfielder's fortunes. He scored five goals in six games, a stellar run which made him a crowd favourite in Merseyside. He even won the PFA Fans' Player of the Year that season. However, Meireles would leave Liverpool after just one season, securing a move to Chelsea. He won a few trophies, including the Champions League, as a Blue. That is what he is remembered for. That, along with his mohawk and beards. Meireles retired in 2016, after spending four seasons at Turkish club Fenerbahce. Despite being a solid player for the Reds, Meireles is not as remembered as he probably should be because of his stay at Anfield being too short. Also, his only season with Liverpool was the one that has left fans with many bad memories of those dark days.